PHYSIS Wild Shepherd’s Tea belongs to the rare species “Sideritis” which is considered among the best in the world. The name “Sideritis” comes from the ancient Greek word “Sideron” which means “Iron”. It was named this way because it contains large amounts of iron. In Greece it is called (Teion), which is a corruption of the word (Θείον – Theion) meaning “Divine”, because ancient Greeks believed it was the tea of Olympic Gods and Titans, and it could strengthen their power! It is the favorite tea of Greek shepherds, because it gives them energy, heats them up on the high mountains and protects them against the flu and germs. 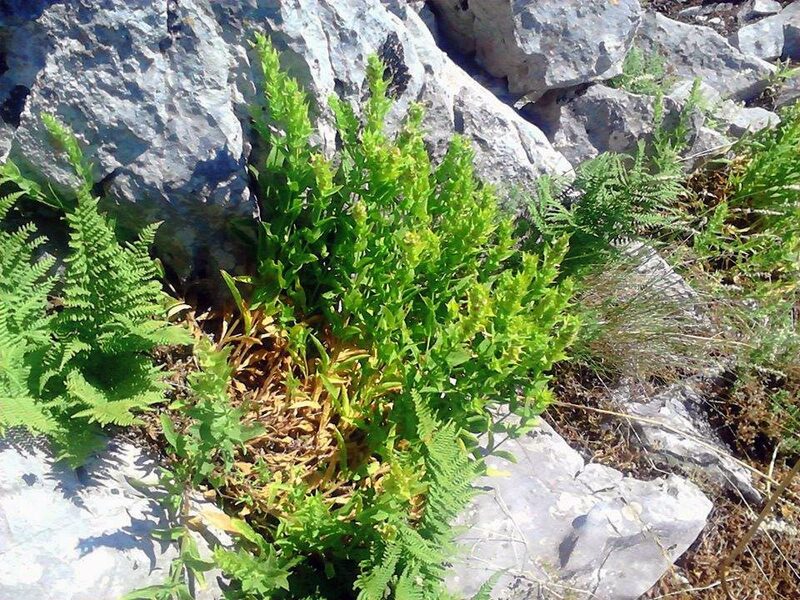 It is known in Greece for thousands of years, it has been used as a beverage, also as remedy for many diseases. Mentioned in ancient texts of Hippocrates, Theophrastus, Galenus ets. From this unique kind of tea, we choose an extremely rare variety that grows free in the wild only on high mountains of northern and central Greece. It is the Sideritis perfoliata subsp. perfoliata. 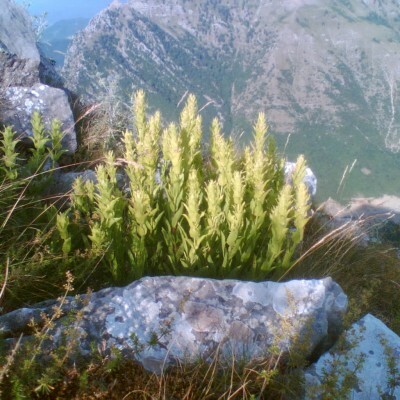 PHYSIS Wild Shepherd’s Tea, is collected over the Pindos mountains and specifically on ancient Kerketion mountain, which was the holy mountain of the God of Medicine named Asclepius. From this ancient mountain, Asclepius collected sacred herbs to create miraculous medication. Asclepius pharmaceutical knowledge still exists to the few Kerketion mountain villagers. The area is famous for the excellent quality of tea that grows there. 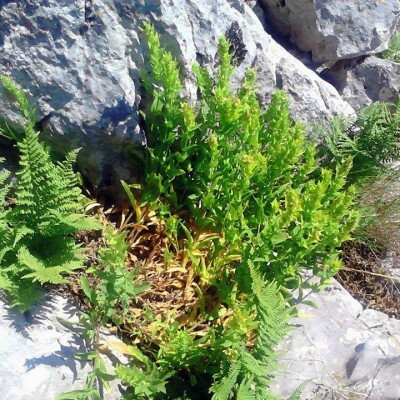 Only very experienced local mountain vilagers venture climbing the peaks of Pindos mountains to gather a few pounds from the precious plant, always under special permit from the Forestry authority. Collection is done during the summer when plants are in full bloom and full of essential oils. PHYSIS Wild Shepherd’s Tea comes not from cultivated plants, but from native wild organic plants, far from any urban pollution and completely free of pesticides, fertilizers and any farming care. For this reason PHYSIS Wild Shepherd’s Tea is available in very small quantities. So very few can have the opportunity to enjoy this superior high quality tea drink in their cup! The ecological way of producing PHYSIS Wild Shepherd’s Tea, not stops just on collection, treatment and packaging, but our company pays back to nature what takes from it. So, before packing, the crumbled tea plants passes from very fine sieve that lets pass only tiny seeds. Seeds are collected and handed out to villagers tea collectors, to scatter them buck over the mountains to enrich habitat and sprout new plants. This ensures physical sustainability, and that PHYSIS Wild Shepherd’s Tea will keep coming to you every time. Product Description: Organic Native Wild Shepherd’s Tea from Greece, limited production. 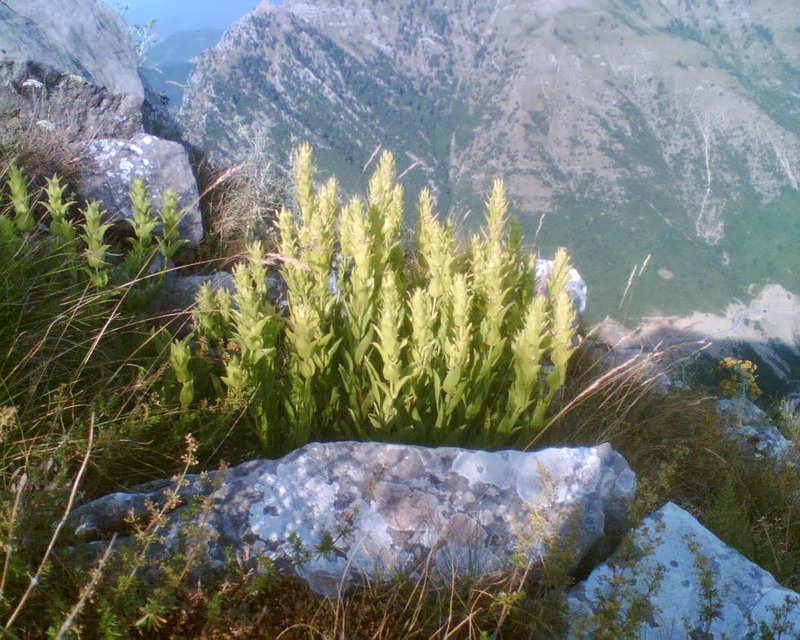 Quality attributes: Exclusive wild native Greek Shepherd;s Tea from Pindos mountains, on altitude of 1000-2000 meters. Collected, processed and packaged by hand. Superior quality, intense peppery flavor, rich in essential oils. Enjoy as hot or cold drink any time of the day. For a cup, add a tablespoon of in warm water before boiling (about 90-95 ° C). Allow 4-5 minutes to release the aromas and drain on paper filter or strainer into a cup. You can optionally add some sweetener, pure honey is proposed, the other natural flavors such as citrus, orange, or apple peel and cinnamon sticks. PHYSIS Wild Shepherd’s Tea is quite bitter compared to PHYSIS Wild Mountain Tea, so use a greater amount of sweetener to make it as sweet. Try to mix it with other PHYSIS herbs in proportions you like and create your own beverage. Making higher dose and putting drink in fridge where you can consume within 24 hours in order to maintain all the aromas and flavor. In half cup of warm water (about 90 -95 ° C) add a tablespoon of PHYSIS Wild Shepherd’s Tea and allow for 4-5 minutes. Fill a glass with ice and drain tea in If you like, add thin slices of orange or lemon, sugar or honey and enjoy! Greek Wild Shepherd’s Tea is known and used as medicine for many ailments since thousands years ago from ancient Greeks. In modern medicine, pharmaceutical and homeopathic has a very wide use and application in many diseases because of active substances containing flavonoids, diterpenes, phenylpropionate, iridoids, monoterpenes etc. Heat a cup of water and before starting to boil remove from heat and pour a tablespoonful of PHYSIS Wild Shepherd’s Tea. Add small slices of lemon peel and leave for 4-5 minutes. Strain the drink into a cup and add juice of half a freshly cut lemon and one teaspoon of pure honey and stir. Drink not very hot but warm. Repeat 4-5 times a day until sore throat is gone.